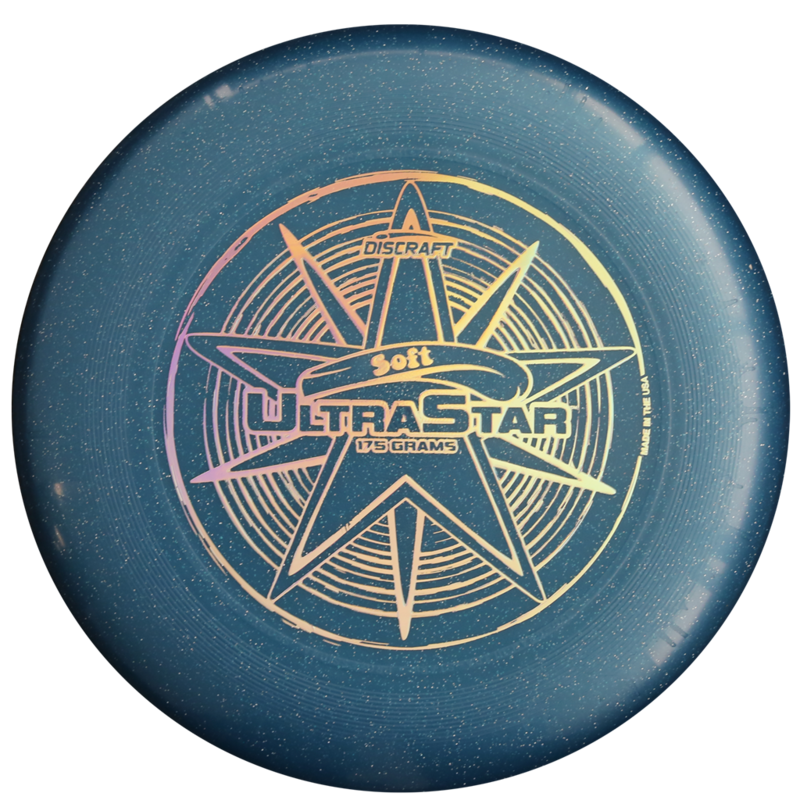 Since 1991 UltraStar has been the world standard disc for the sport of Ultimate. With its contoured grip and aerodynamic engineering, the UltraStar has set the standard for quality, consistency and performance and is trusted by millions of athletes. Now, the UltraStar is in our popular soft memory plastic that has made the "official youth disc of USA Ultimate" Discraft J Star 145 gram Ultimate Disc so popular. With soft feel and true flights, the SOFT ULTRASTAR will be the best catch disc. This disc is not yet approved by USAU, but it is sure fun to throw, great for the beach (it floats) and winter play.